There are few things that are more magical than taking a trip to Disney World! So, when we decided that we would be taking our daughter to Disney World’s Magic Kingdom for her birthday, I grabbed a stack of books and got busy planning. But the more I read, the more nervous I became. Neither I nor my husband have ever been to Disney, so by book number two, I was completely overwhelmed. There are lots of books on the market explaining strategies on how to make the best of your Disney experience and here are a few that really helped me. This book was so comprehensive and was by far the best tool that I consulted. Although the book is quite large the information is easy to digest. Wiley gives you a break down of each park along with a strategy for navigating each. The book also provides a chart which explains each attraction’s location, line speed, ride duration, and age and height requirements. This chart was essential because we are traveling with a small child whom may not be able to ride everything. So knowing exactly what she can and cannot ride in advance is a time saver! In addition, Wiley gives a brief description of what to expect on each ride so parents can decide whether it is appropriate for their children. The book explores so many important pieces of information from what time to arrive at the park, when to use a fastpass, how to get around the park, where to stand during the parades and the best place to view the fireworks in the evening. Not to mention the best strategy for snagging a character breakfast and which hotel will best suit you. The book is colorful and easy to read with plenty of pictures which made it fun for me and my daughter to read together! The book only took about an hour and a half to read cover to cover. In addition to being a quick read, it is very comprehensive and well structured. The authors leave nothing to chance. After reading this book, you will know when the parks are the least crowded, where to go to meet the characters in each park, how much money you will spend on average, what to pack, where to stay and how to prepare the kids for the trip! Similar to the Fodor book, the Birnbaum Guide outlines the rides in each park that are appropriate for each age group. The book also provides itineraries for each park to get the most out of each day without passing out or going broke! Tip 1: Prepare small kids for the trip by watching Disney movies and listening to Disney songs leading up to the trip. The more familiar the more enjoyable the experience for small kids. Tip 2: Small children usually interact better with characters with human faces i.e. Cinderella verses masked characters such as Mickey Mouse or Pluto. The book recommends that parents allow small children to warm up to characters by allowing them to interact with the “human” characters first before introducing masked characters. 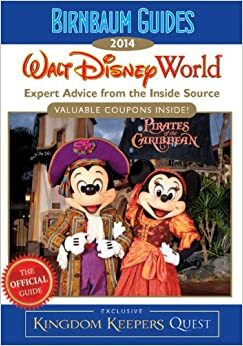 Some of the other things the book does well include: providing a full color map of Disney World, complete hotel information with a complete break down of each Disney resort with an explanation of the activities and amenities offered at the resort. In addition, the book includes the type of traveler that will most appreciate each resort. The book also breaks down fun activities for single travelers, mature travelers, travelers with disabilities and couples traveling without children. After consulting these guides, we feel prepared to have an amazing trip to the Magic Kingdom! Have you been to the Magic Kingdom? How did you prepare? 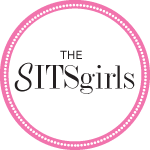 Do you have a resource that I should check out or great information that you would like to share? This entry was posted in Travel Tips, Traveling with Kids and tagged Birnbaum, disney world, family trip, florida, Fodor, kids, Magic Kingdom, Mickey Mouse, Orlando. I never thought about letting small children meet characters without masks first. That’s a nice idea! I live in FL and I can’t wait until my little one is old enough to enjoy and remember a Disney trip! We go to Disney about five times a year (annual pass holder!) and we’ve learned a lot about the parks going so much. I’d say the books are probably a little outdated in the fastpass department just because Disney has now upgraded to My Magic Band Plus which also holds a new Fastpass system. You can only get 3 passes a day now (which stinks) and that means you’re probably going to have to stand in line for a lot of rides. If it’s your first time going, I’d suggest getting Fastpasses for the nighttime parade, because you’ll want really great seats for that. You can also sit there after (I think) for the fireworks show which puts your right in front of the castle. Perfect for viewing fireworks. Also, if you get up early to go to the park you’ll want to take a break around midday (when it’s the hottest and most crowded). Go back to your hotel, take a nap, or swim in the pool. Then you can go back to the parks in the afternoon/evening and be refreshed and ready for another few hours at the parks. I actually have a series on my blog called Let’s Talk Disney, and so many people have left helpful comments and tips. There are things I didn’t even think about doing while going! Wow, thanks for sharing Teresa! I will definitely visit your blog to find out more. I haven’t been to DW in ages. Such a magical place that I NEED to get back to.